Any data acquisition system falls into one of two categories: GPS-based or non-GPS-based. While both are capable of adding practically any number of sensors, each generates the most basic data – speed and distance from the start/finish line – very differently. Because most data is examined and compared based on where on the track the motorcycle is, it’s important to understand the difference between the two types of systems and how each determines where exactly that point is. This MXL Pista system from AiM Sports replaces the instrument cluster and plugs directly into the bike’s wiring harness, collecting data from sensors already onboard. The non-GPS-based system collects data based on the motorcycle’s standard speed sensor and is a simple plug-and-play device. 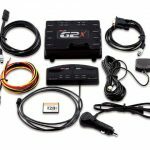 The necessary components of this Racepak G2X GPS-based system are the unit itself, the GPS antenna and power connections. Included here are an optional dashboard, a cable for connecting the unit to a laptop, and wiring to power the unit from a cigarette lighter in a car or by connecting to a harness. The Racepak unit stores data on a card, which is removed and plugged into a computer to download the data. A non-GPS-based system must have a beacon placed by the side of the track, so that it has a reference point to work from. 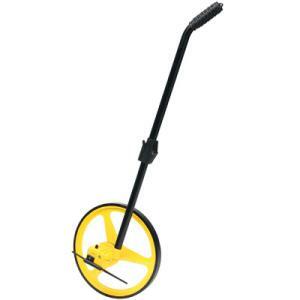 A wheel speed sensor is used to measure speed, and from that distance from the beacon can be calculated. Accelerometers inside the box along with a gyroscope-generally a separate sensor-generate additional data that the package’s software uses to create a track map. Knowing a distance from the beacon, the software knows how far around the lap it is at any given time. A GPS-based setup uses the Global Positioning System to locate itself, much as a hand-held or automobile GPS can show you exactly where you are. Knowing its location on the earth’s surface at any time, the unit can generate a precise track map and calculate speed from position and time – if the motorcycle moves one meter in one second, it is moving 1 m/s. 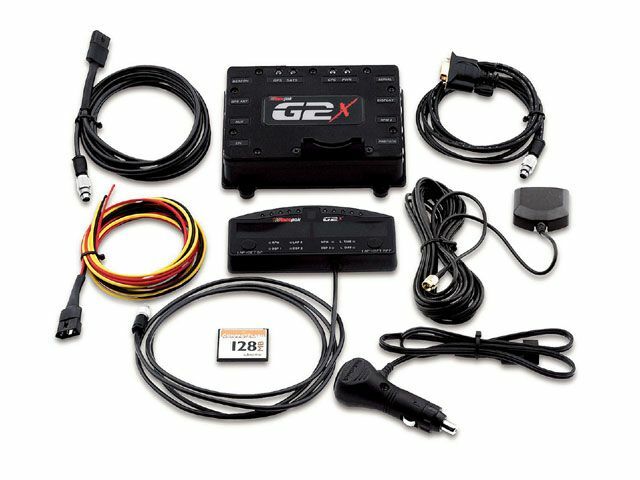 While this setup negates the need for a trackside beacon or wheel speed sensor, the GPS hardware adds cost to the system and requires the use of an antenna. The quality of any additional data collected is dependent on the accuracy and quality of the GPS signal; bridges, hillsides and weather can sometimes cause trouble with GPS signals. While a non-GPS-based system does not rely on satellite signals, it’s imperative that the speed sensor be accurate. The system first measures the rpm of either the front or rear wheel, and from that calculates ground speed. This means the tire’s circumference plays an important role, leading to two disadvantages with these setups. One, if you change tires to a different circumference, you must account for that change in the software to properly compare data from before and after the tire change. And two, because a motorcycle leans, the effective tire circumference changes constantly, affecting the distance reading. If the rider is consistent lap to lap this is not much of an issue, but any changes – or comparing two different riders using two different styles – can cause difficulties in analysis. 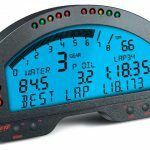 Both systems record accurate lap times. A non-GPS-based system will use the start/finish beacon just as a stand-alone lap time does the job. 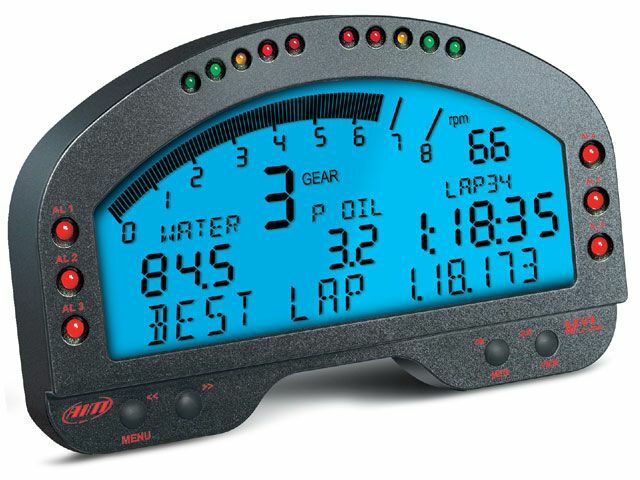 GPS setups allow the creation of a user-defined start/finish line either using the software or the unit itself, and lap-times are based on this. Experience shows that newer GPS systems generate lap times within .02 seconds – and often better – of those recorded using a beacon. Another benefit of GPS-based systems is the availability of lateral acceleration data. Most systems have on-board accelerometers to record both lateral and fore/aft acceleration, but in a motorcycle application an on-board accelerometer will show no lateral acceleration due to the physics involved. GPS systems are capable of showing true later acceleration, and this is a useful tool for analysis in many ways.